When it comes to luxurious entertainment experiences in your own house, it doesn’t get better than a dedicated home theater system customized to your family’s viewing habits. You can replicate going to the cinema without dealing with expensive tickets and waiting in line for overpriced concessions, and with the right A/V and smart home technology, you can actually make your home theater more advanced than your local multiplex. 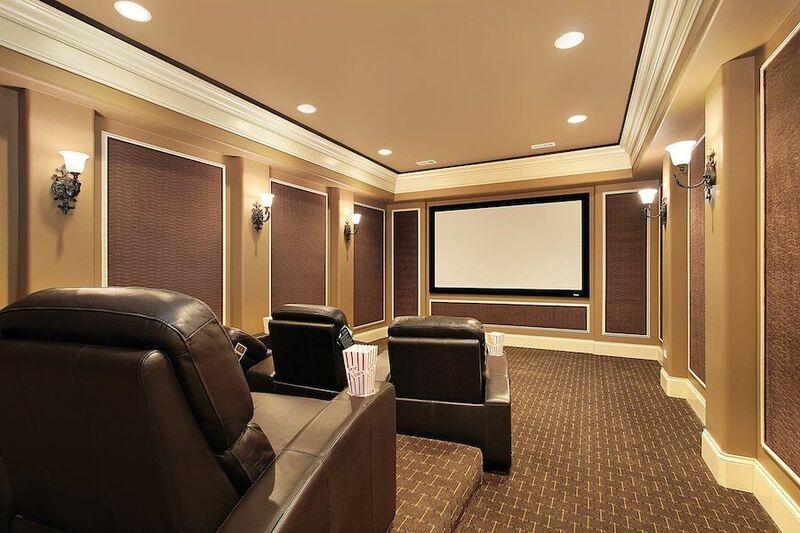 Keep reading to learn about three key home theater system upgrades that will increase the entertainment value of your Windsor home. SEE ALSO: Why Don’t I See 4K UHD in My Home Theater? Your projector is what gives your home theater its visual spectacle, and a 4K Ultra HD projector gives you the sharpest image on a large screen. These projectors add richness and dimension to the picture with brighter images, deeper blacks, and more lifelike color and contrast. In terms of brightness, you’ll want a projector that produces between 1,500 and 3,000 lumens, although the exact number you’ll want depends on the darkness of your home theater space. The higher the contrast ratio, the better the picture quality, and with 4K projection, you’ll be able to see fine details like blades of grass and strands of hair. Sound is what pulls you into the world of a movie. The video shows you that world on a flat screen, but the audio fills the entire three-dimensional space around you. You probably have surround sound in your home theater, but upgrading your audio system with Dolby Atmos-enabled technology takes your listening experience to a new level of immersion. Like 3D, Dolby Atmos is one of those features that you’ll pay extra for at the cinema because it makes such a big difference for the audience. Dolby Atmos is audio technology that makes sounds emerge from specific spots in the room, so it’s possible to create the illusion of someone whispering right behind you, or that there’s a helicopter whirring above you. It takes full advantage of the space around the audience to create soundscapes the envelop the viewer, and you’ll hear your favorite movies in a brand new way. An integral part of the movie theater experience is when the lights go down and the audience sits in the darkness until the projector cuts through with the start of the movie. If you can’t put your home theater in a room with no windows, you need to find a way to keep out ambient light so you have a dark space for your viewing. Motorized blackout shades are the solution, blocking out light with the push of a button on your smartphone. You can connect these shades to the smart home control system that also handles your home theater’s A/V components, giving you centralized access to all your technology from a single app. Want to learn more about upgrading up your Windsor residence with a high-performance home theater system? Reach out to one of our experts by calling 970-217-7018 or by sending a message in the live chat window at the bottom of your screen.